This St. Patrick's Day Collar displays a green, black and yellow plaid theme throughout. The collar can be purchased with a matching flower or a matching bow tie for an additional cost in the options when ordering. This collar can be purchased with a matching flower or bow tie in the options when ordering. 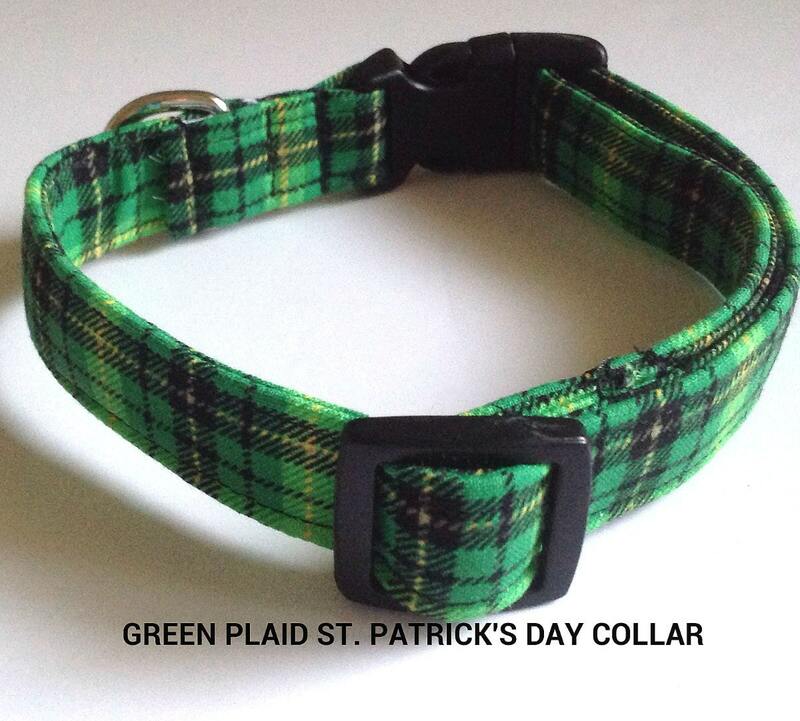 Each collars individually custom made upon ordering and can be made in all sizes including XXS, XS, S, M, L, XL with option width sizes of 3/8 inches for toy dogs and cats, 5/8 inches, 3/4 inches, or 1 inch. Cats receive breakaway collar hardware for safety purposes unless otherwise requested.